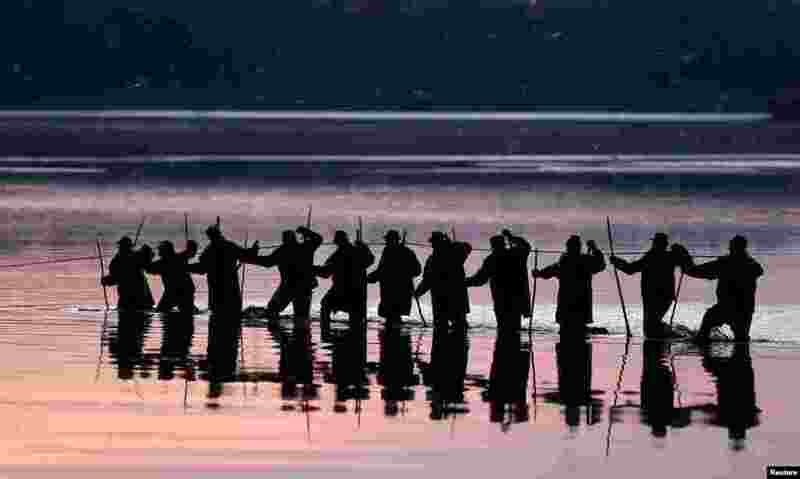 1 Fishermen pull a net from a pond during the traditional carp haul near the town of Trebon, Czech Republic. 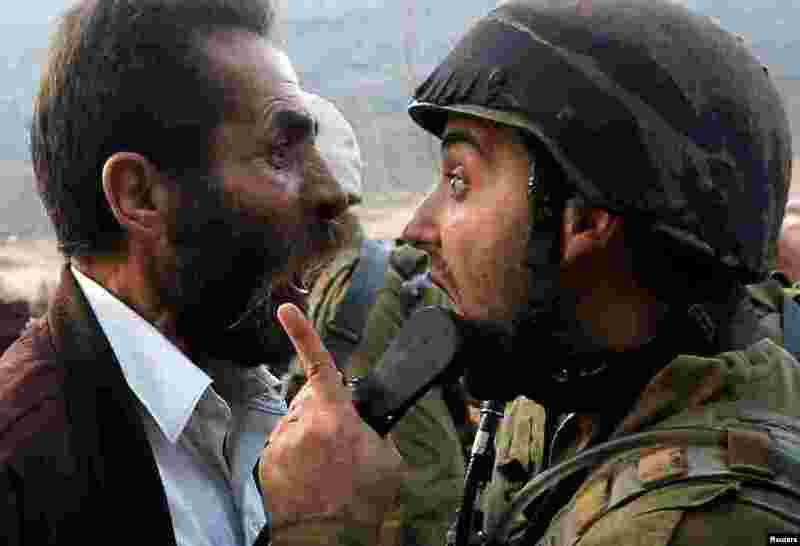 2 A Palestinian man argues with an Israeli soldier during clashes over an Israeli order to shut down a Palestinian school near Nablus in the occupied West Bank. 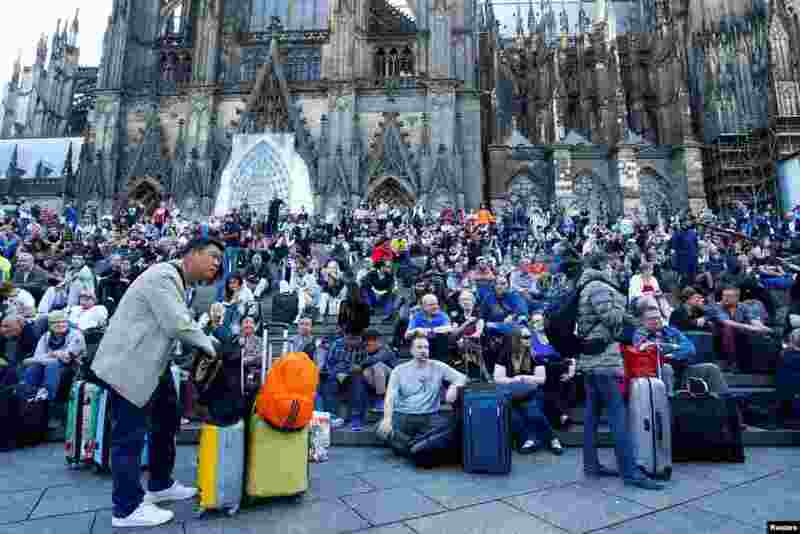 3 Passengers wait outside the main train station in Cologne, Germany, as the train station was closed due to a suspected hostage-taking. 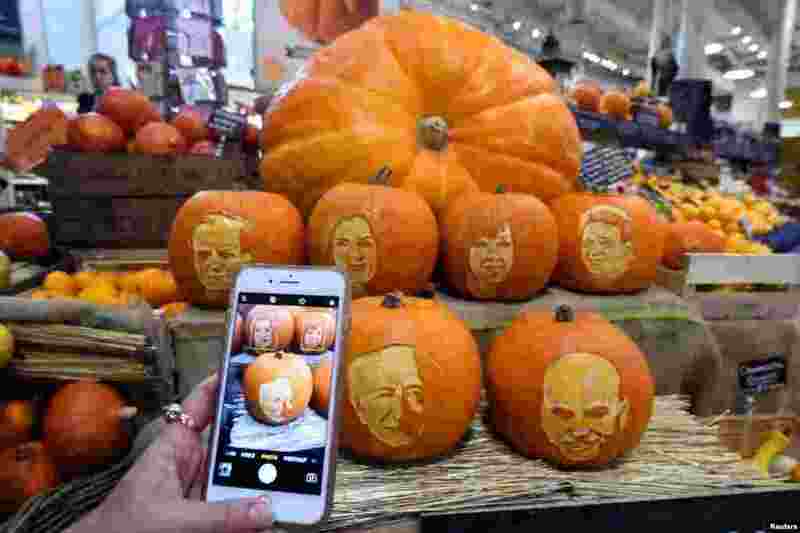 4 A woman takes a picture on her phone of Halloween pumpkins with Ireland's Presidential candidates faces carved into them in a shop ahead of an upcoming Presidential election in Dublin, Ireland.